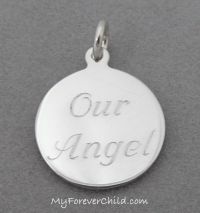 This adorable sterling silver round charm is inscribed in the font of your choice. Choose your Angel Phrase in the box below. This charm would be a welcome addition on a charm necklace or bracelet. 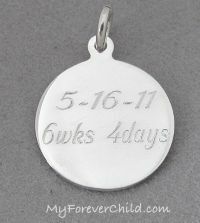 We can engrave a name and date on the reverse side, fill in fields below.